Spain came 6th in this year’s Muslim Travel Index for Europe. It is the sixth most popular country on the list for Muslim tourism. 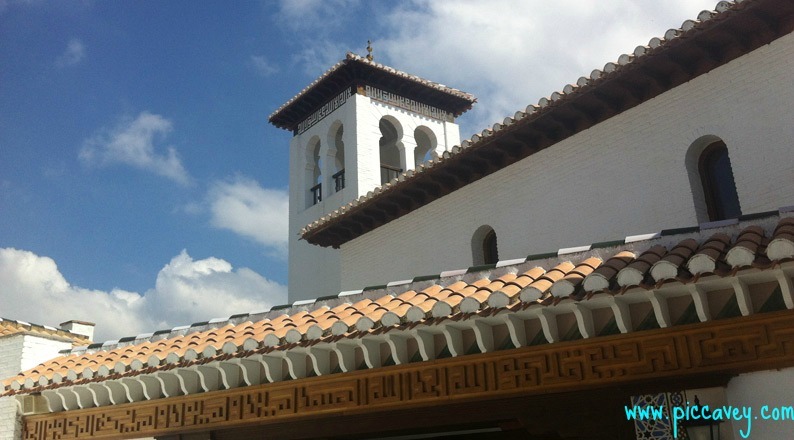 With this news and the upcoming Halal tourism conference just around the corner, here is some useful information about the Halal services in the city of Granada. 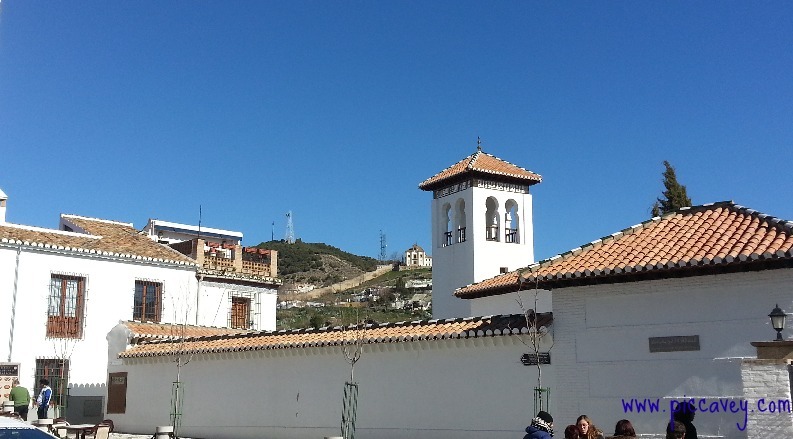 For the city of Granada, Halal tourism is not a new trend. The city has had a working mosque since the summer of 2003 and is home to an important Arab community. The Mosque is next to the Mirador de San Nicolas, directly opposite the Alhambra Palace. This peaceful space welcomes visiting Muslims to the city. Another important building which maybe of interest to visitors is La Madraza on calle Oficios (just below Gran Via). This Koranic school was founded by Yusuf I in 1349. Although this has been altered over the years there are still some beautiful architectural features to discover inside. Open for visit from 10.30am to 1pm daily. There are many restaurants and businesses offering Halal friendly options. Halal Tapas at Om Khalsoum on Calle Jardines. I have been going here for years. My favourite tapa is the couscous with caramelised onion. Tea shop serves food: The Kasbah on Calderería Nueva 4 has lots to choose from. A wide variety of tea, cakes, food and snacks. Halaal Takeaway: Noodle Restaurant on Calle Principe (close to Plaza Bib Rambla) Eat in, take away or home delivery by motorbike. Choose a selection of noodles with vegetables and a variety of sauces. Pad Thai Wok on Calle Pavaneras in the Realejo neighbourhood has takeaway and home delivery. Teteria Halal: As Sirat Tea shop Calderería Nueva 4, Albaicin one of my favourite tea shops. Simple but comfortable. Tetería Baraka C/ Estación 12, Orgiva, in the Alpujarra región. Here they serve tea and food too. Some can provide Halal breakfast by request and even provide space for prayer. Hotel Casa 1800 Granada Carrera del Darro, Granada They provide space for prayer. Hotel Palacio de los Patos Calle Recogidas, Granada They can prepare Halal food with prior arrangement. They also provide space for prayer. Hotel Alcadima Calle Francisco Tarrega, Lanjaron They are happy to provide space for prayer. Hotel Alhambra Palace (close to the Alhambra) Granada Can arrange a Halal breakfast by prior arrangement. 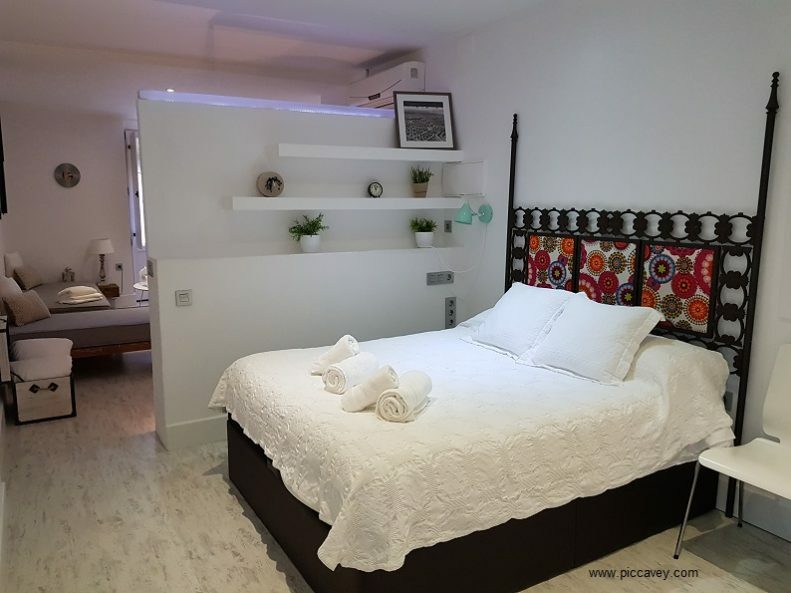 For those looking for an apartment in Granada these newly refurbished options are comfortable and well located. 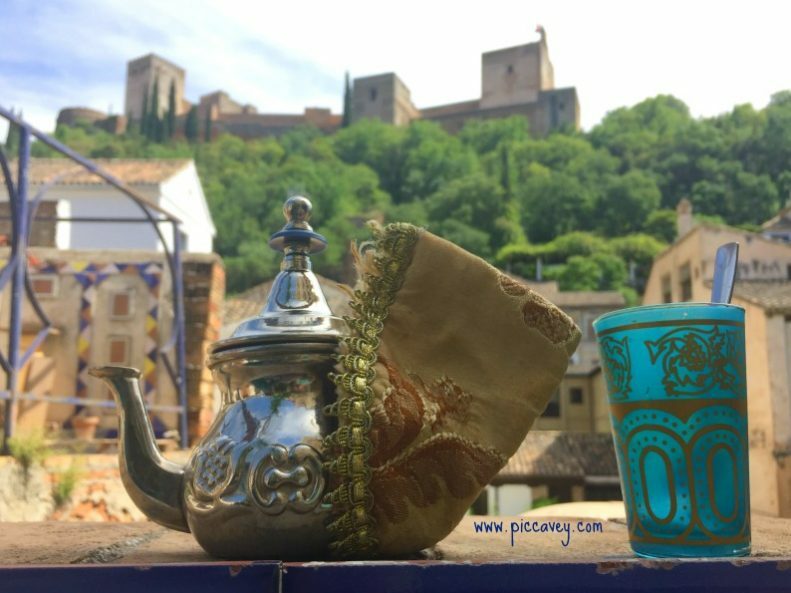 Finally I stumbled upon this travel experience online written by Bushra B.
I think that it provides a great insight written by a visitor to Granada, Spain. 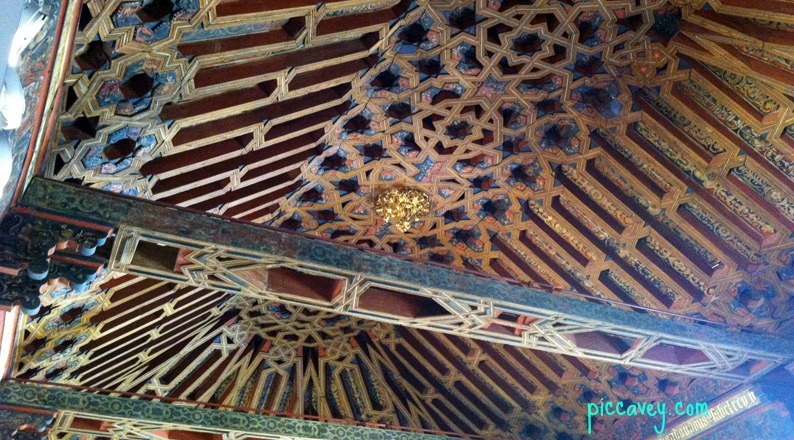 The Palacio de Congresos of Granada held the first European International Congress on Islamic tourism. This two day event was in Sept 2014. The Alhambra palace and the unique history of the city of Granada no doubt had an influence on the decision to hold the conference here. It´s the first conference of this kind held in Europe. Thank you for sharing such good knowledge on the Halal friendly places in the city. You brought a smile to our faces when you mentioned the Restaurante Arrayanes! What an amazing experience we had there trying their sweet and savory moroccan tagines for the first time and their fine vegetable couscous! We went on a break in Semana Santa 3 years ago which was brilliant to see how both cultures unite and appreciate each other´s ways of life! We love your blog and find some fascinating places around the city that we never knew existed! We will keep you posted when we get the chance to go again! First of all I like to say thank you so much for all the information it has been very helpful. I am planing to go.to the islamic part of Granada . Can you please tell me if there are any halal hotels that may have half bòard or all conclusive. The hotels in Granada offer mainly breakfast only options. As you will be sightseeing it may also be easier for you to find places as you go. Look out for spots especially in the lower Albaicin area. There are currently no hotels in the city which offer All inclusive accomodation. Could you tell me where they serve halal breakfast please?? There isnt a specific place that serves Halal breakfast but there are lots of places that offer good breakfast apt for halal. Hi Molly, we’d like to try the tapas at Om khalsoum, but looking at their website -omka Kool- you have to order wine? Can you order non alcoholic drinks too? you have listed hotels enabling space for prayer. i think it will be worth including the two main places of worship (mosques) too. Wow! Thanks so much for these halal food oriented places! Will try to find some of them on my already planned visit with my family this December! Will be visiting Madrid, Cordoba, Granada n Barcelona before proceeding to Paris, our last leg of the trip. You don’t know how glad I am to stumble on this precious bits of info from u! Thanks again! May God bless you. You took the time to write about a different belief system and culture in your city to help visitors. What a wonderful thing you have done. we were in Granada a week ago. Pad Thai Wok noodle bar is all Halal and delicious! I would totally recommend it, the Pad thai was great as was the Red curry with chicken we tried. They have Halal certificates etc. JazakAllah for sharing such beneficial information. I am planning to travel to Spain after Ramadan, with my wife and 1 year old daughter. We want to stay in a all-inclusive hotel which offers halal food. Of course, I will reply to your request by email. I´m glad that you enjoyed the post. Hi Molly, thanks for this. So helpful, like Sajid, if you have any info on hotels that offer halal food, i would be so grateful. Thank you so much for this, we’re looking to get married in Granada this year (I know, not much of the year left and I’ve yet to arrange it all) but at least your post will be a great help for our guests. Thanks for reading Dan and best wishes for the wedding preparations! Arrived in Granada last night. Found your website when searching for halal food. Took your recommendation about Pad Thai Wok and couldn’t be happier. Excellent choice of food, freshly prepared… Will probably go back again soon. Thank you for your recommendations. Thanks for reading my tips, glad you enjoyed Granada. We will be in the south of spain for Eid – any ideas on anything that happens there? Any festivals etc? Thanks! Thanks so much for this post it is really really helpful. I will be travelling to Spain next week visiting Madrid, Granda, Cordoba, Seville, Malaga and Barcelona. If you perhaps have any information on halal food in these other areas can you please forward it to me. i would really appreciate it. May I get some ideas on events and weather in Granada in the mid of February.. I will be travelling from Tangiers, Morocco.. Where is the best place to start my journey in Spain? I have only 4 days.. 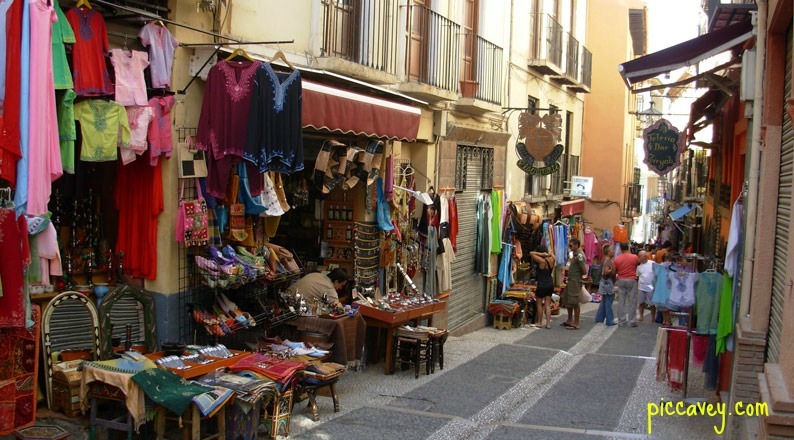 I would advise to visit Malaga and Granada if you only have four days this will give you chance to visit both cities. In February there isn´t any particular event that is of special interest. we will be traveling to spain from california in feb with our two kids, 5 & 8. it’s wonderful to see the halal recommendations but i was also wondering if you have any suggestions of fun things to do with the kids in madrid and granada. Thanks Asma for your comment, This is an area I should cover on my next blog post! The Science Park is great fun for children as there is lots of space to run around and great exhibits thought especially for them. Thank you for the wealth of information you have provided. It will be a great help to a lot of people inshaaAllah. We are planning to travel to Spain mid August and landing in Madrid. We plan to head straight down to Granada any suggestions of quickest and easiest mode of transport (we are 2 adults and 3 children). 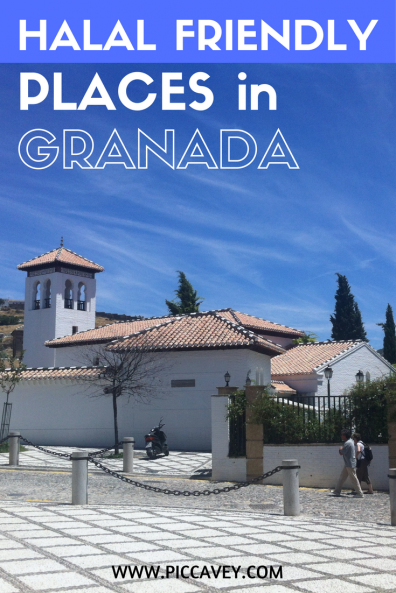 Also, from one of your previous blogs did you manage to find any mid-range hotels in Granada? We may plan to stay in Madrid for the night before travelling down can you recommend hotels to stay and places to eat? – By Bus – ALSA premium. 4 hours in comfortable seats with wifi, aircon and TV screens. Mid range hotels in Granada. There are many to choose from. 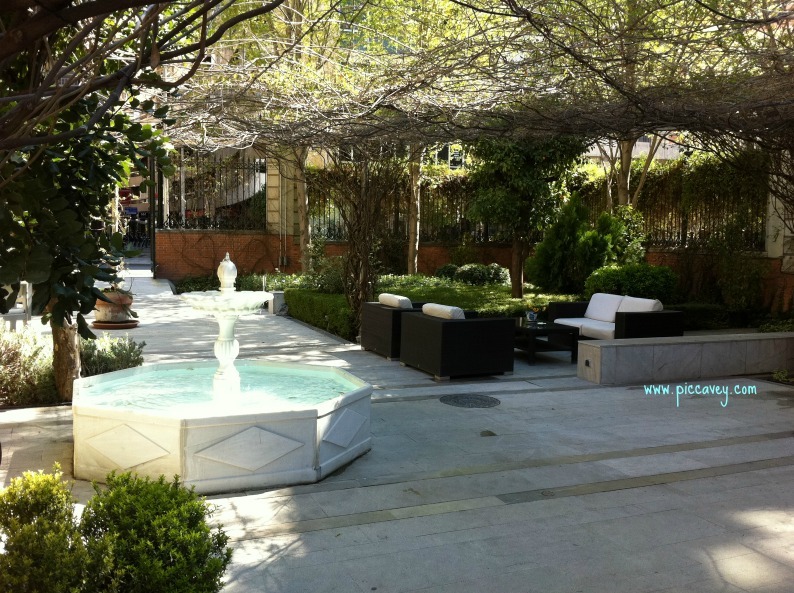 In Madrid the area around Metro Arguelles, Princesa, Ventura Rodriguez or Chamberi is a good area to choose. The centre around Puerta del Sol Gran Via and Chueca has some older hotels, better value a little further up. Places to eat. 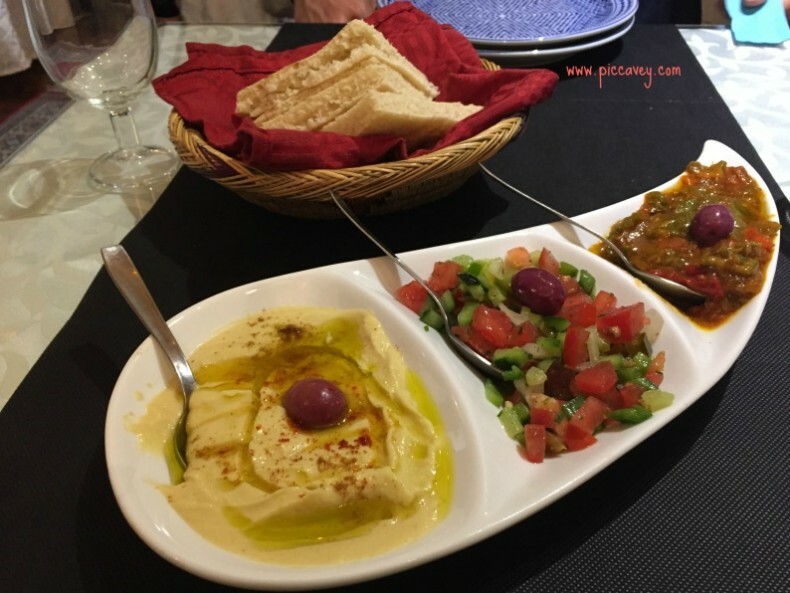 Restaurante Farah Bagdad near to El Carmen Metro is certified. Thank you for your wonderful nuggets of information which will prove to be very useful! I’m always up for African and Mediterranean, so the halal thing is secondary to me. But it seems that this place is good in general. Granada is so picturesque and stunning! Thanks for dedicating a post for one of my all-time favorite places in Spain! Hi. Is there any hotels in granada that offer halal breakfast? 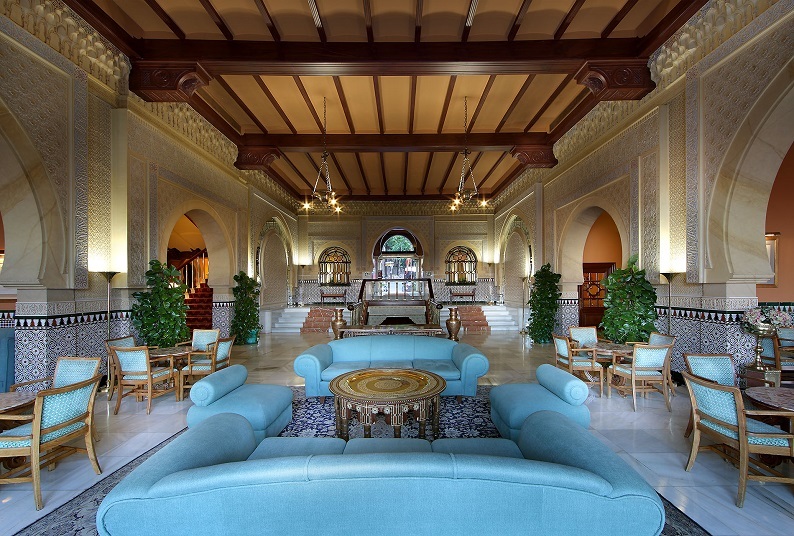 So far I know that the Hotel Hospes Palacio de los Patos and Hotel Alhambra Palace can do this when requested. Alghamdu lillah what an informative site.I will be visiting andalucia for 4 days in October IA.If I should choose number of days in each city.can you give m any suggestions as I would like to see all.Also can I do a daytrip from one to the other.I have booked 2days in Cordoba and 2 in Granada,but can change.One other thing I will be coming from Tangier any info on how to get to the abovementioned cities.Which one do you recommend we should do first and would be the closest to travel to and also the one we should do last as we are traveling back home.from Madrid.We are on a tight budget.Jazakallaa for ypur wonderful info.I am from Cape town South Africa and halaal is very important to us. The plan to spend two days in Cordoba and 2 days in Granada works perfectly. Both cities have lots to offer and you will enjoy your time in Andalusia. From Tangier to Algeciras there is a ferry service. Then from Algeciras you can get the bus ALSA to Granada. Also from Granada to Cordoba ALSA bus service. Of course you can also hire a car at Algeciras if you prefer to drive. I would suggest travelling from Tangier to Granada first. Then from Granada to Cordoba. Then from Cordoba get the bus or Train to Madrid. Thanks only saw your reply now.jazaakallah for info.One more question if i should visit seville from either granada or cordoba which one should i do it from. I am travelling to cordoba first then granada.Is it a problem as i can switch around.I have to end up in madrid as my flight is from there. Thank you so much for the valuable information. We plan to visit Granada early May next year. Do you have any recommendation for a restaurant that serve halal friendly food near Mirador San Nicholas? We plan to have dinner then head to the Mirador to watch sunset there. As far as I know there is not a specific restaurant at the Mirador de San Nicolas or Nearby serving Halal food. Hi – did you manage to fine all inclusive children resort in Grenada that offers halal food? (sorry big ask). Just wanted to leave a comment to say Thank You! Your blog has been most helpful. I look forward to visiting!